In the first match of the national championship that went the distance, the Trinity Western Spartans overcame a two-set deficit to defeat the Montreal Carabins 3-2 (23-25, 23-25, 25-20, 25-21, 15-11) to claim the U SPORTS bronze medal. “Trinity just continued to put a lot of pressure on their serving and we didn’t. We backed off a bit on our serves. They played a few tips that got us frustrated and we thought we had that covered but there was a lot of miscommunication. They did what we expected them to do, but they did it a little bit better.” After going down early in the first, Montreal took six of seven points to move ahead by a pair. Trinity Western responded, and consecutive blocks by the Canada West bronze-medalists capped a mini-streak to move them in front by three. 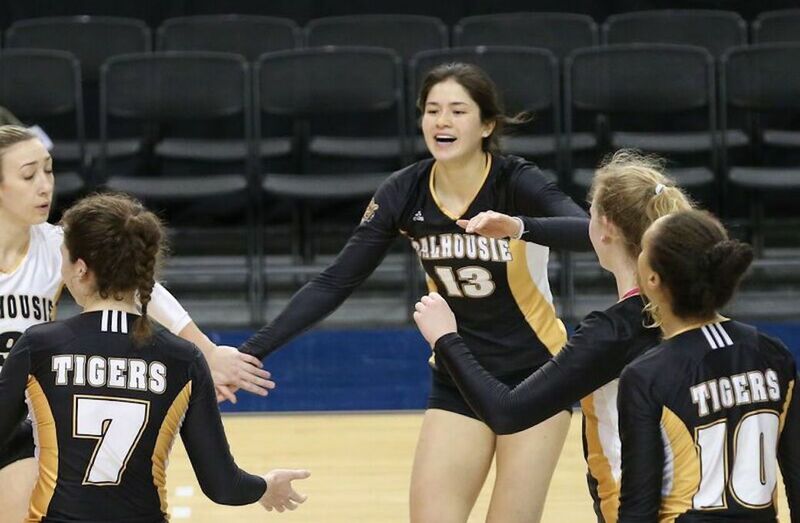 Coming out of a timeout, the Carabins battled for four-straight to even the match. After an astounding sequence that saw the Carabins come up with multiple acrobatic digs before the Spartans were finally able to put the ball away, Montreal took that momentum to score the next two on a kill by Alexane L. Joly (Bois-de-Boulogne) and ace from Rachel Gagnon (Bois-de-Boulogne), grabbing a 16-14 lead at the technical. Carpentier (Ottawa, Ont.) responded with a pair of kills for the Spartans, pushing them into the lead, which Wendel (Caronport, Sask.) extended to three. Joly brought the deficit down to two with a right-side attack, and another great defensive response by the RSEQ champions ended with a Spartan attempt that clipped the net and went out of bounds. Belanger evened the match with an attack that went through Trinity Western’s block to even the game, and another error by the Spartans gave Montreal a set-point. An ace by Mikhaella Blanchette (Gatineau, Que.) gave her squad a one-set lead. After going down by a pair, Brie O’Reilly (Langley, B.C.) followed a solo block with a kill to move Trinity Western briefly in front at 12-11. Consecutive attack errors thwarted the Spartans leading up to the technical break, however, where Montreal held a 16-13 lead. A great up by Nikki Cornwall (Coquitlam, B.C.) helped Trinity Western even the match at 21-21, and the teams would trade the next two points. The Spartans saved a set point following an ace from Belanger, but could not stop an attack from Adryanna Dorismond-Rodrigue (Longueuil, Que.) that hit the floor in front of the Trinity Western block, putting Montreal up 2-0 in the match. Carpentier and Devaney exchanged kills to put Trinity Western up 4-2, but two-straight aces by Belanger soon after pushed the Carabins ahead. Carpentier responded to her fellow First-Team all-Canadian by serving up consecutive aces, and the Spartans held a 16-12 lead at the technical. Trinity Western’s serve continued to stymie the Carabins, as an ace from Carpentier pushed the lead to six, and that was more than enough as the Spartans would commit just a single error while working at a .519 hitting efficiency to take the third set. The Spartans continued to gain momentum in the fourth, moving ahead by as many as six points. 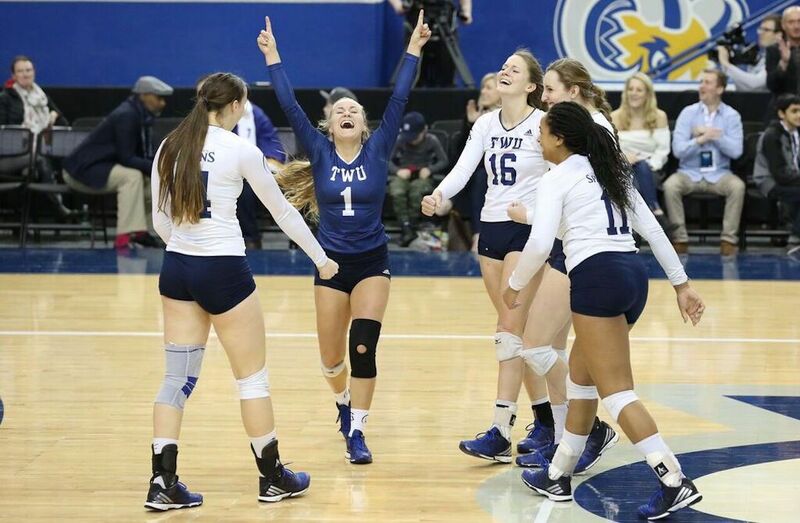 Montreal would push back by taking four of five to come within two, but Trinity Western, who totalled 18 kills in the stanza, grabbed the next four to give the championship weekend its first five-setter. The leads changed three times in the early stages of the final set, where Trinity Western held a slim 8-7 lead at the changeover. A rejection by Cornwall and McKenzie pushed the lead to two, and after giving up a pair, O’Reilly tallied an ace that capped off a 3-0 steak to put the Spartans ahead 12-9.